Batman is the master of interrogation, and no matter how strong-willed a criminal may be, eventually they all squeal under his boot. But how does he know that these criminals aren’t just lying to him when he’s attempting to get sensitive information from them? That’s where one of his more recent gadgets comes into play. Hidden in his cowl is a built-in lie detector that reads a criminal’s heart rate and body temperature. 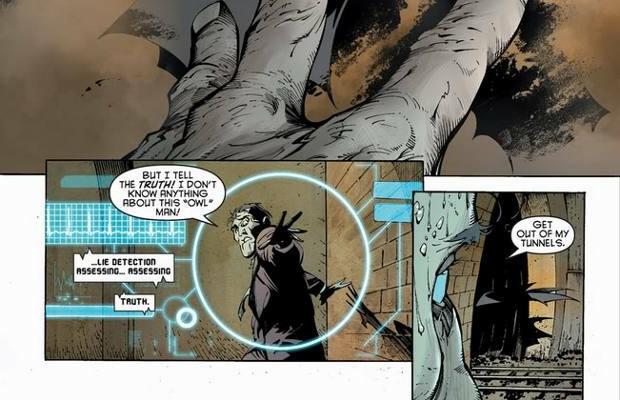 The detector then shows a message to Batman through his cowl’s lenses telling him whether or not he’s being lied to. Honestly, this is one of the more implausible gadgets that the Batman writers have come up with in recent years, but it’s hard to deny just how useful something like this would be for a crime fighter.